25 stempel og to stempelputer. Bygg og design på egen hånd. Kretaivt inspirerende for barn i alle aldere. 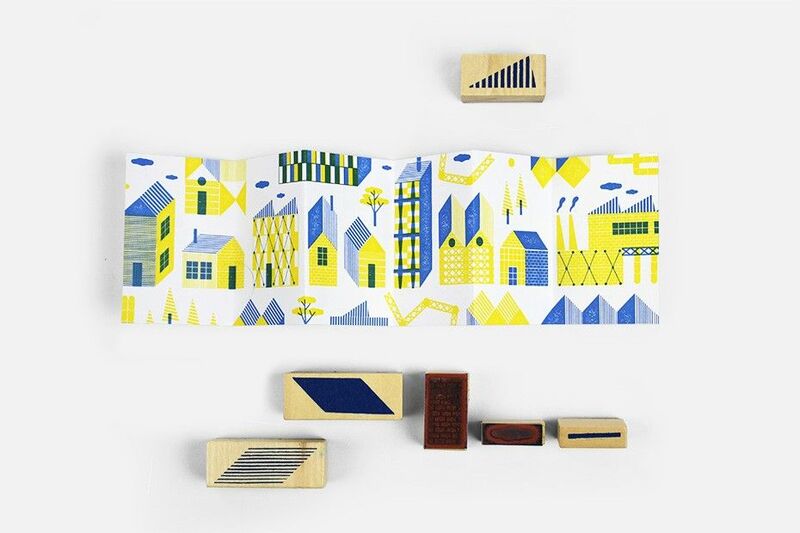 Fra leverandøren: You are the architect, planner, designer and builder with this set of rubber stamps and two coloured ink pads. 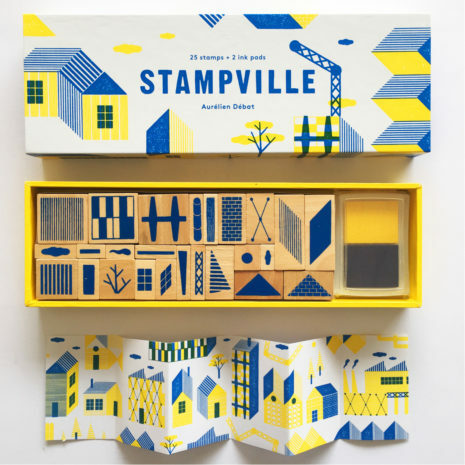 The matchbox-style box contains twenty-five woodbacked stamps in an assortment of shapes and textures, all the essential building blocks needed to create a simple house, a whimsical village, or a towering architectural marvel-the combinations are infinite and immediately gratifying.